Romans 1:16: For I am not ashamed of the gospel of Christ: for it is the power of God unto salvation to everyone that believeth; to the Jew first, and also to the Greek. (17) For therein is the righteousness of God revealed from faith to faith: as it is written, The just shall live by faith. Problem is if the gospel has the power to do that, why aren’t more people living lives that reflect that salvation? I guess the question would be do we believe it? 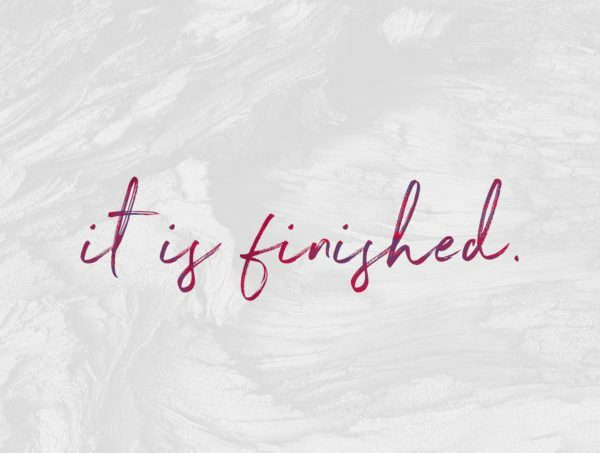 Do we believe that this Gospel of Grace, this Gospel or Nearly-too-good-to-be-true good news of Christ (and His finished work) has dunamis, miracle working power from God that resulted in and continues to result in salvation? What is our understanding of this Gospel of Grace and salvation? Is the Gospel just a “sin” focused message that we preach to unbelievers? Is salvation to you just the fact that you get to go to heaven someday and miss hell? Meaning healed, delivered, whole in every area of life! Knowing that Adam (the old man) was crucified at the cross — all of Adam! This is who we are — a new creation, no longer in Adam, no longer slaves to sin, raised from the dead and dying no more, and that death (and its effects) have no dominion over us! Sozo is living as Paul said in Gal 2:20 — I am crucified with Christ: nevertheless I live; yet not I, but Christ liveth in me: and the life which I now live in the flesh I live by the faith of the Son of God, who loved me, and gave himself for me. Psalm 51:17: My sacrifice, O God, isb a broken spirit; a broken and contrite heart you, God, will not despise. Jesus was broken for us… He was broken as us! Psalm 107:6: Then they cried unto the LORD in their trouble, and he delivered them out of their distresses. For us it’s just who we are — Delivered (past tense); We don’t have to cry out and ask God for what He’s already done. He is the health of my body! Romans 6:3-4: Or have you forgotten that when we were joined with Christ Jesus in baptism, we joined him in his death? (4) For we died and were buried with Christ by baptism. And just as Christ was raised from the dead by the glorious power of the Father, now we also may live new lives. We are not sold into slavery to sin – and never have been! We are not under the dominion of death — and never have been! Isaiah 9:6 (The Voice Translation): His name? His name we’ll know in many ways— He will be called Wonderful Counselor, Mighty God, Dear Father everlasting, ever-present never-failing, Master of Wholeness, Prince of Peace. See yourself as He does — Say what He says about you! So it’s important to ask yourself how does Christ see me? They have no authority in your life! There’s another ALL verse — I love those! Make that part of your daily confession! Romans 7 is about a frustrated life before Christ — before the Cross and the Resurrection changed EVERYTHING and EVERYONE! Hosea 6:2: After two days will he revive us: in the third day he will raise us up, and we shall live in his sight. Isaiah 66:8: Who hath heard such a thing? who hath seen such things? Shall the earth be made to bring forth in one day? or shall a nation be born at once? for as soon as Zion travailed, she brought forth her children. Romans 7:1 Or are you ignorant brothers (for I speak to those knowing the law), that the law rules over the man for as long as the time he is alive? The effects of death – sickness, disease, poverty, lack, fear, etc had NO dominion over us EVER! V. 14 says that the reason he sees all men as new creation in Christ and not as the old man (in Adam) is because if One died for ALL then ALL died. Serve isn’t working FOR God… You’re not a hireling.. You’re a son!! Alive in Him and dead to sin! We cry out for healing for our bodies from sickness and disease! We have been given every spiritual blessing in Him and He has given us ALL things that pertain to life and godliness. In Him we lack no good thing! Awake to who you are in Christ! Saved, healed, delivered, whole in every area of life (spiritual, physical, social and financial)… NOTHING missing, NOTHING broken! Reigning over every defeated thing that would attempt to rise up against you — it has no power to rise! It’s not that we don’t pray for and lay hands on the sick — of course we do! We need to see everything through the lens of IT IS FINISHED! 100% DONE! But manna wasn’t what He wanted them to experience forever… He wanted them to cross over into the Promise land. To grab hold of His promises to them! NO! We ALREADY have it ALL in Christ! Because that is the message of Romans! Saved — healed, delivered, whole in every area of our lives; Nothing missing, nothing broken!